What is the cheapest way to get from Oppède to Marseille Airport (MRS)? The cheapest way to get from Oppède to Marseille Airport (MRS) is to drive which costs 7€ - 12€ and takes 53m. What is the fastest way to get from Oppède to Marseille Airport (MRS)? The quickest way to get from Oppède to Marseille Airport (MRS) is to taxi which costs 110€ - 140€ and takes 53m. Is there a direct bus between Oppède and Marseille Airport (MRS)? No, there is no direct bus from Oppède to Marseille Airport (MRS). 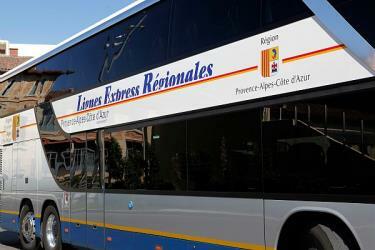 However, there are services departing from Oppède Mairie and arriving at Gare Routiere Aeroport via CAVAILLON - Gare Routière - CAVAILLON and Frets. The journey, including transfers, takes approximately 3h 2m. How far is it from Oppède to Marseille Airport (MRS)? The distance between Oppède and Marseille Airport (MRS) is 45 km. The road distance is 66.7 km. How do I travel from Oppède to Marseille Airport (MRS) without a car? The best way to get from Oppède to Marseille Airport (MRS) without a car is to line 18 bus and line 017 bus which takes 2h 59m and costs 14€ - 20€. How long does it take to get from Oppède to Marseille Airport (MRS)? It takes approximately 2h 59m to get from Oppède to Marseille Airport (MRS), including transfers. Where do I catch the Oppède to Marseille Airport (MRS) bus from? Oppède to Marseille Airport (MRS) bus services, operated by Trans Vaucluse, depart from Oppède Mairie station. Where does the Oppède to Marseille Airport (MRS) bus arrive? Oppède to Marseille Airport (MRS) bus services, operated by Lignes Express Régionales, arrive at Aéroport Marseille Provence - MARIGNANE AEROP station. Can I drive from Oppède to Marseille Airport (MRS)? Yes, the driving distance between Oppède to Marseille Airport (MRS) is 67 km. It takes approximately 53m to drive from Oppède to Marseille Airport (MRS). Where can I stay near Marseille Airport (MRS)? There are 1655+ hotels available in Marseille Airport (MRS). Prices start at 55€ per night. What companies run services between Oppède, France and Marseille Airport (MRS), France? You can take a bus from Oppède to Marseille Airport (MRS) via Cavaillon PEM Gare Routière, Cavaillon(Avignon), Salon-de-Provence, Gare, Aeroport Marseille Provence, and Frets in around 2h 59m. The Stade Vélodrome, known for sponsorship reasons as the Orange Vélodrome, is a multi-purpose stadium in Marseille, France. It is home to the Olympique de Marseille football club of Ligue 1 since it opened in 1937, and was a venue in the 1998 FIFA World Cup, the 2007 Rugby World Cup and the UEFA Euro 2016. It occasionally hosts RC Toulon rugby club of the Top 14. It is the largest club football ground in France, with a capacity of 67,344 spectators. The stadium is also used regularly by the French rugby union team. The Vallon des Auffes is a little traditional fishing haven in Marseille in the 7th arrondissement of Marseille. It is situated 2.5 km south-west of the Vieux-Port over the corniche Kennedy, between the Catalans beach and Malmousque bay. The Cours Mirabeau is a wide thoroughfare in Aix-en-Provence, France. Fort Saint-Jean is a fortification in Marseille, built in 1660 by Louis XIV at the entrance to the Old Port. Since 2013 it is linked by two thin bridges to the historical district Le Panier, and to the Museum of European and Mediterranean Civilisations, the first French national museum to be located outside Paris. Rome2rio makes travelling from Oppède to Marseille Airport (MRS) easy. Rome2rio is a door-to-door travel information and booking engine, helping you get to and from any location in the world. Find all the transport options for your trip from Oppède to Marseille Airport (MRS) right here. Rome2rio displays up to date schedules, route maps, journey times and estimated fares from relevant transport operators, ensuring you can make an informed decision about which option will suit you best. Rome2rio also offers online bookings for selected operators, making reservations easy and straightforward.